Budapest is one city that I had no expectations of. 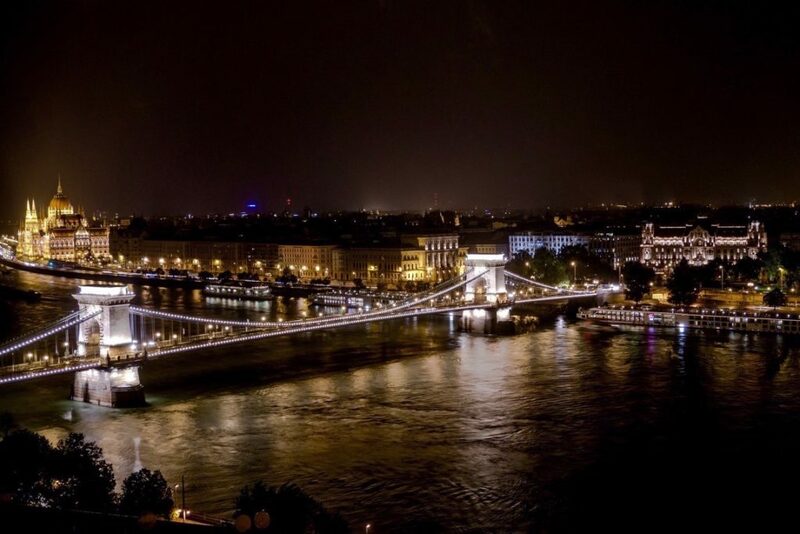 Other than the famous Szechenyi Bridge and the Danube River, I really didn’t know much about the capital city of Hungary. And the only fact I knew about Budapest was that it is made of two parts, Buda and Pest. And it’s precisely because of my limited knowledge of the city that made me want to go and explore it. After all, I’ve always believed that travel is the best form of education. And this education came by way of JayWay Travel, a boutique travel company offering private tours in Central Europe. 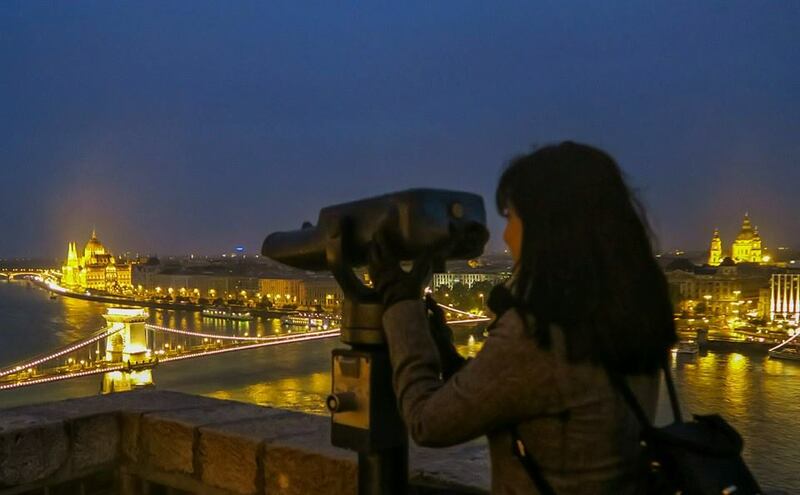 Our first stop in the 4-city tour was Budapest, and my 3 days in the city were definitely filled with wonderful surprise. 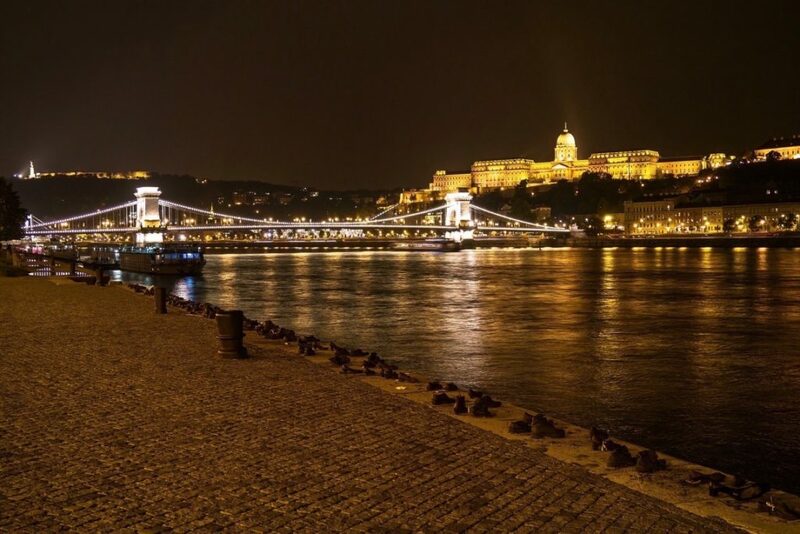 The ‘lessons’ I learned about Budapest could be summed up in these 10 suggested activities to do in the city. Well the very first thing I learned about Hungary is that it has such a long and tumultuous history. With the country’s location being in Central Europe and almost acting like a gateway between Eastern and Western Europe, Hungary found itself in a constant state of defending its land from conquerors. Our guide Kinga regaled us with a very impressive narrative of Hungary’s history. I tried to take in as much as I can, and bottomline is, it’s very bloody, with the plot of Game of Thrones paling in comparison to it. 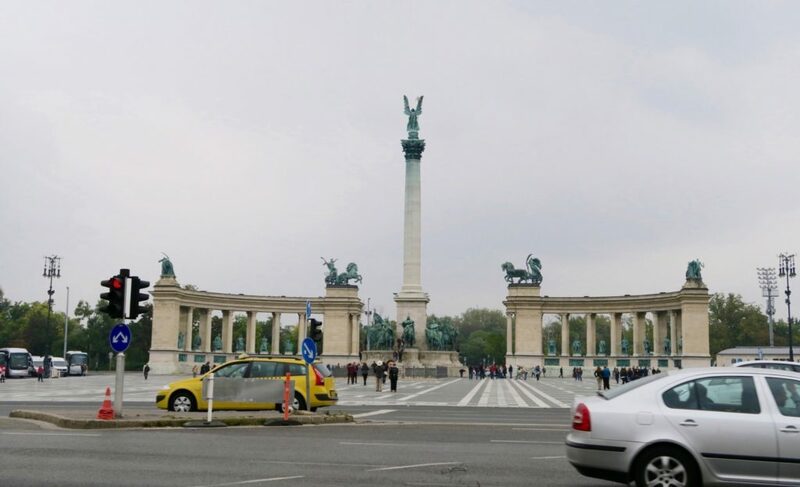 Those wanting to have an instant lesson in Hungarian history (as I did) can head to Heroes’ Square, located at the outbound end of Andrassy Avenue (the very main avenue in Budapest). Centre of it all are the Seven Chieftains of the Magyars lie in the middle. They were the tribal leaders who brought the Magyar people to the land that is now Hungary around A.D. 896. What’s symbolic to me is that Heroes’ Square today is not just a touristy spot, but a big part of everyday Hungarian lives as this area is used for lots of events and activities. Families hang out and gather here. 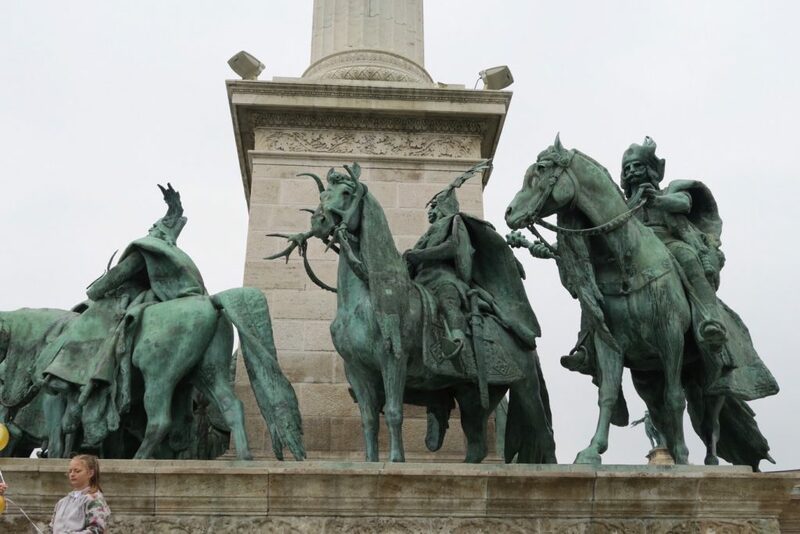 It’s like the Hungarians of today enjoy the freedom and life while their ‘forefathers’ look upon them from above. Though it’s a 2-way vehicle lane, the Szechenyi Chain Bridge is not too busy, like the other more popular landmark bridges of the world. It’s actually quite pleasant to take strolls in it, and at night, it’s just simply stunning when the lights are on. The photo above is seen from the Buda side of the city. 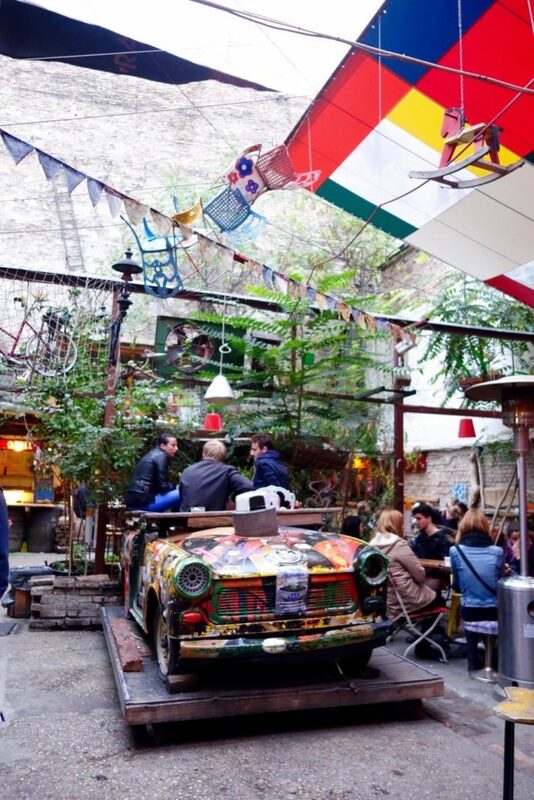 Did you know that Budapest is known as the Hipster Capital of Europe? (source: Business Insider). No? Me neither. So it was a pleasant surprise, really, when our JayWay guide Kinga, a local of Budapest herself, led us to District VII of Budapest, also known as the Jewish Quarter. The area is filled with ruin pubs or “romcoksma”, which are run-down and abandoned old buildings that have now been turned into hip bars. It’s very intriguing as the exterior of these buildings couldn’t be more different from what’s inside. 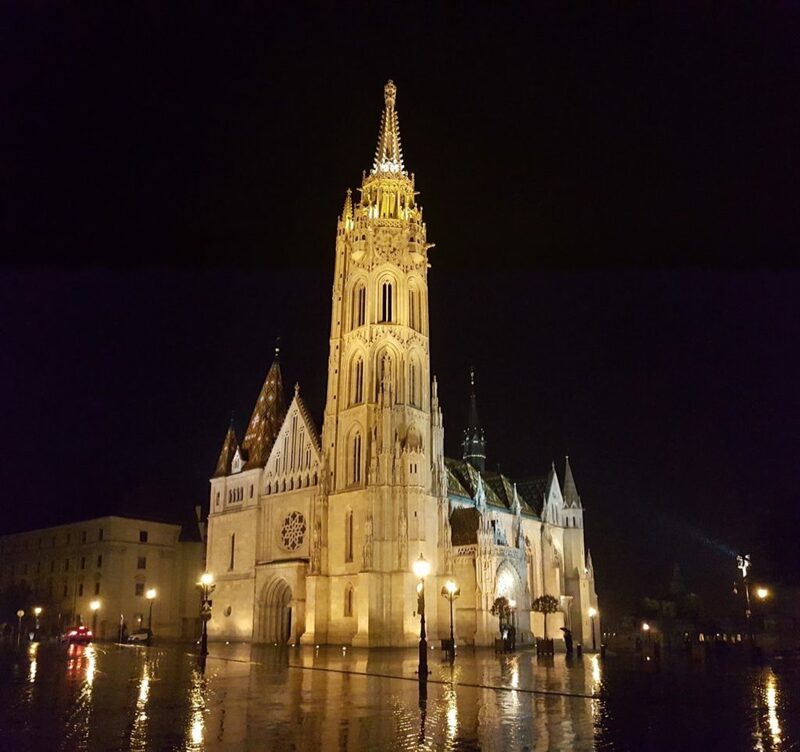 This is the largest church in Hungary that overlooks the grand St. Stephen’s Square, a great place to walk arond and hang out with open air cafes and souvenir shops. 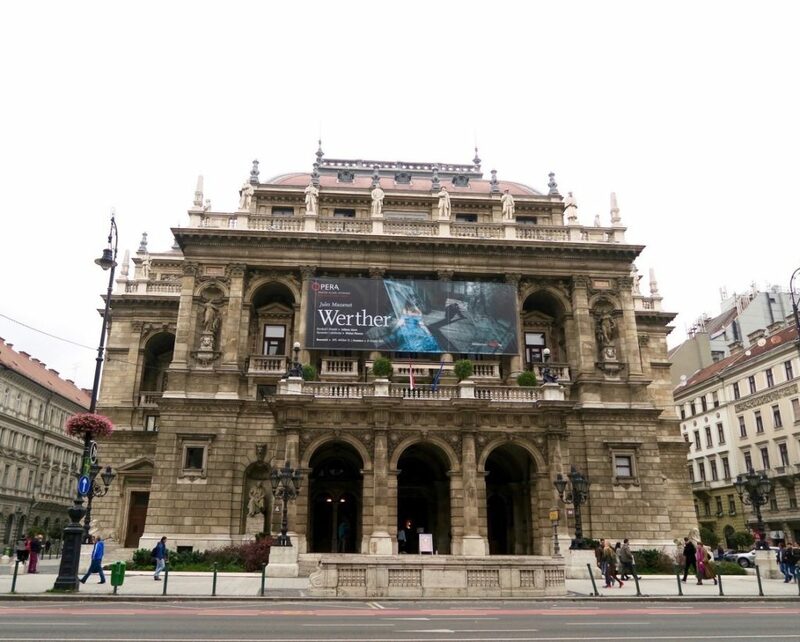 I myself didn’t get to do this (other than see the Hungarian State Opera House from the outside), but if you walk the streets of Budapest for just a mere 5 minutes, you will immediately notice lots of ads and displays for theatre shows, opera, exhibits, and gallery. Their train system, the Metro, is riddled with posters for operas/ theatres and it’s lovely to know that a city takes priority in these kinds of arts vs hollywood blockbusters. Built in 1913, the Szehchenyi Thermal Baths is one of the largest spa baths in Europe with its 15 indoor baths and 3 grand outdoor pools. The bath and spa culture is so ingrained in Hungarian culture that there are regular “Sparty” events for the younger crowd from 7PM onwards. I personally (and endearingly) nicknamed this experience as the “Hungarian Rite of Passage.” We were there in October and it was chilly of course. Getting in and out of the baths is quite a stressfull process but once you are in the bath itself, the 37 degrees celsius waters are quite comforting. While there are massage and treatment packages available, I wouldn’t necessarily call it a relaxing experience, but still a must-do when in Budapest. 7.) Take a Furnicular to Buda side. Enjoy the views. Buda and Pest are very different from one another. For one, Buda side is in a hilly location so to get there, you can take the bus, or take this furnicular (costs about AUD 6.00). Those who prefer a bit of workout can also climb by foot. Buda side is more historical, and most of the landmarks here can be seen just by walking around (though there are tours available). 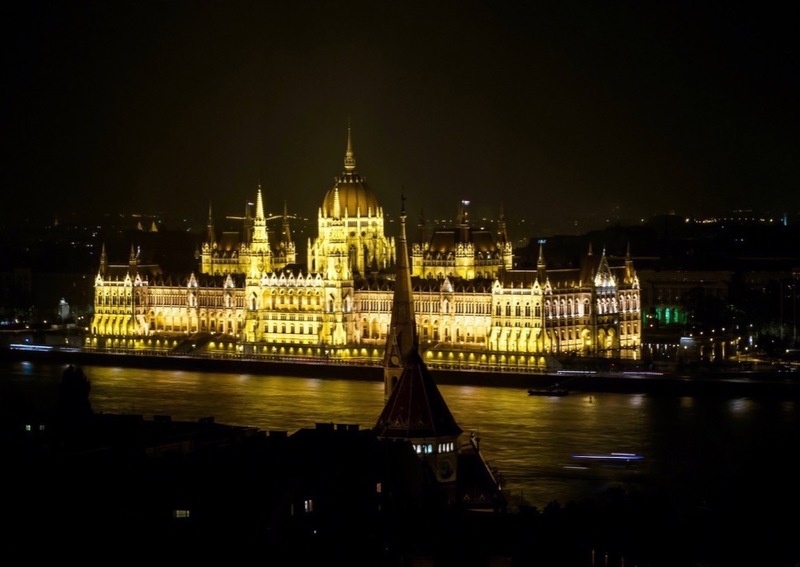 Things that can be seen here are Buda Castle Hill, Matthias Church, and Fisherman’s Bastion, among many others. The best part for me though, are the views you can see from Buda side. Most especially at night. It’s really stunning at night, and on both occassions we went up to Buda side, it was drizzling and quite chilly. It was worth braving the cold just to see the lights slowly flicker to life, as we came up just before sunset. The Danube river is undoubtedly beautiful, no wonder so many river cruises frequent the river up and down. If you walk along it’s promenade, you will discover quite a number of things. Such as these pairs of shoes by the edge of the river. It was created in memory of the Jews who were killed by fascist milita Arrow Cross Party during World War II. They were ordered to stand along the edge of the river and take off their shoes. They were then shot, and their bodies fell to the river. Another creation to look out for on the Pest side of the Danube river railings would be this “Little Princess Statue” , which I initially thought was a little Prince. Then I found out that the artist, Lazslo Marton, was inspired by his eldest daughter. 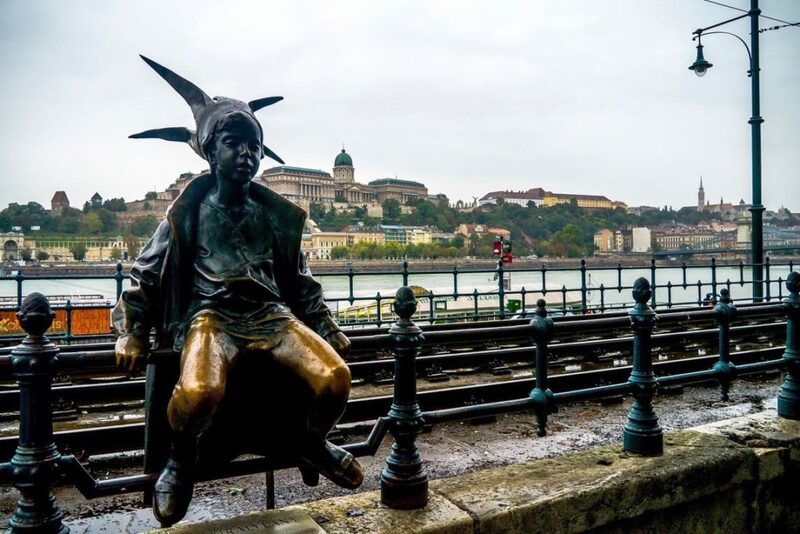 When she was little, she would often play dress up and thus he created this life-sized statue that casually sits by the railings of the Danube river promenade. It is not particularly known, but Budapest is filled with events and festivities. On the day we arrived, it was coincidentally the Chimney Cake festival. It would be rude not to participate (really, it doesnt take much to join in with all that wonderful aroma!) so we got ourselves a chimney cake. 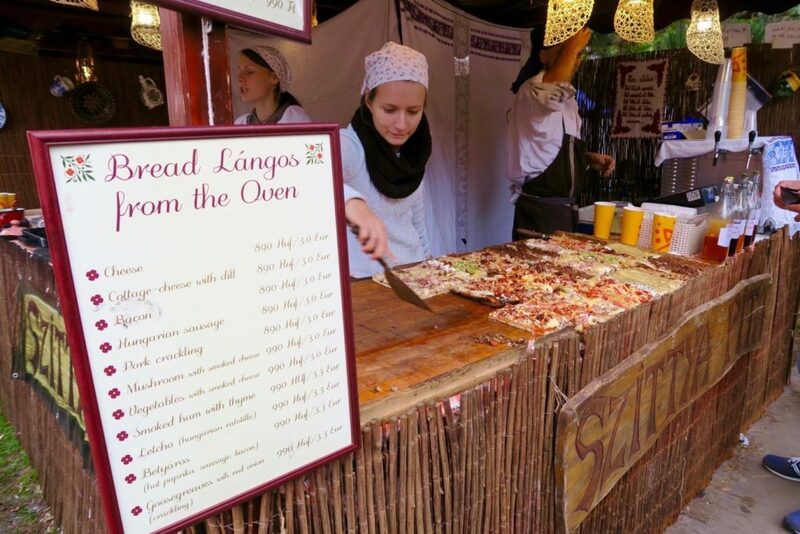 If we had enough space in our bellies, we also would have tried the Hungarian Langos, (like a hungarian pizza). 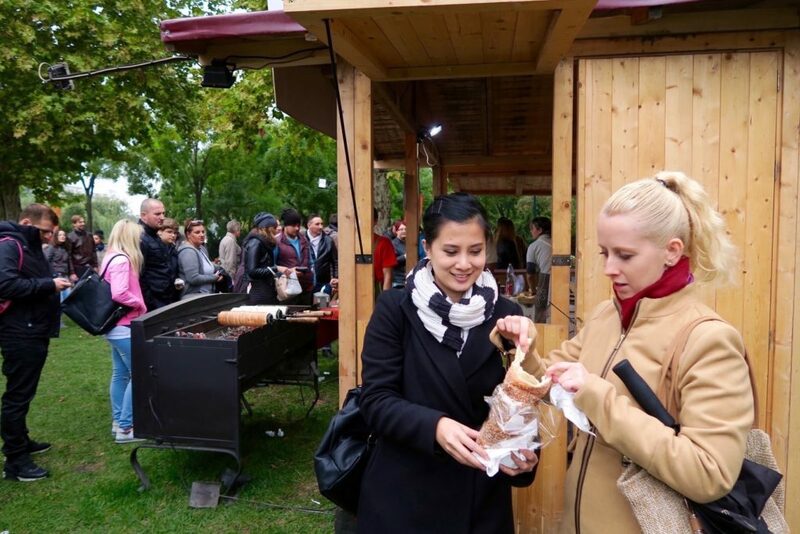 The festivals are not just a great way to sample local delicacies, but also a great way to see locals gather as these festivals are not tourist-driven. 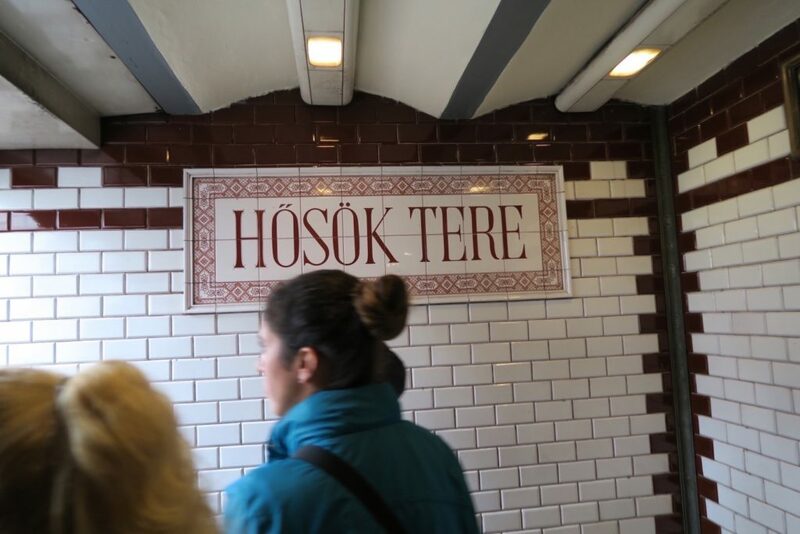 The Budapest Metro System is the second oldest electrified underground railway system in Europe. (Just second to London’s Underground). But unlike the London Underground, the Metro System of Budapest is not thoroughly modernised or humongous so there is a certain charm to it. The station names have hand painted signanges on tiles so it has a very vintage feel, and not too urbanised. 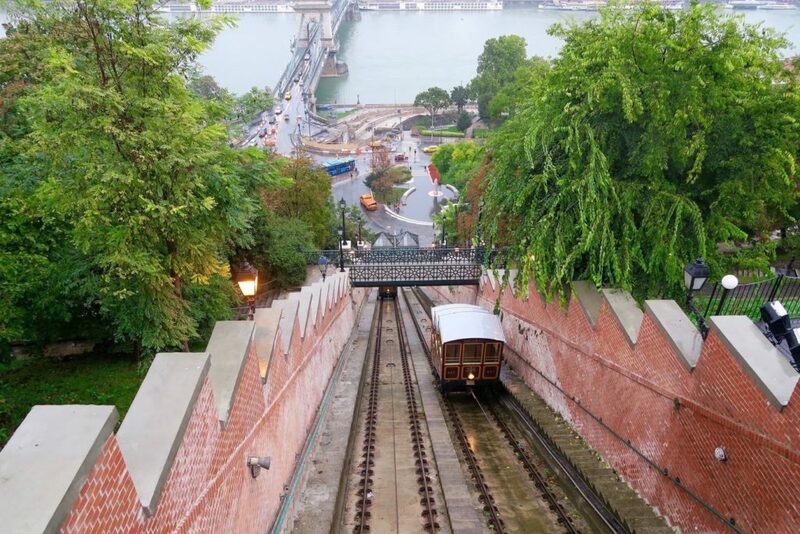 It’s not only a good way to get around Budapest but also kind of a novelty experience. Now all these experiences, you can see in this highlights video we created about wonderful Budapest! 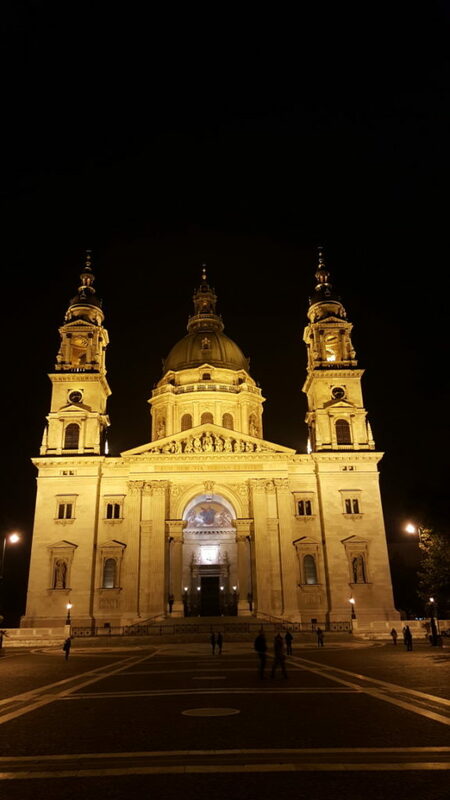 Budapest has really been a pleasant experience and I know that a big factor in me enjoying it is we took our own time and travelled our own style as this was a private tour. Have you been to Budapest? If not, do you think you’ll go one day? 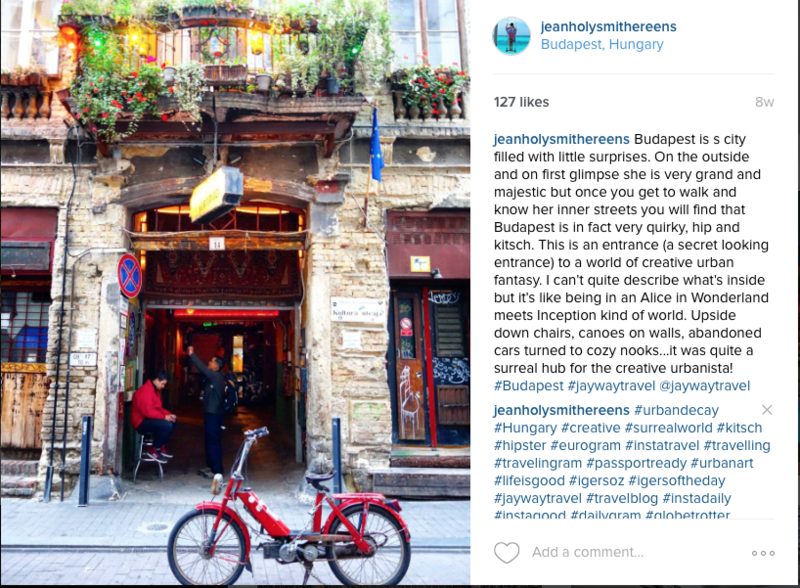 We travelled to Budapest as guests of JayWay Boutique Travel, but all thoughts and opinions are my own. Budapest looks like an amazing place to visit- so rich in history and with stunning architecture. 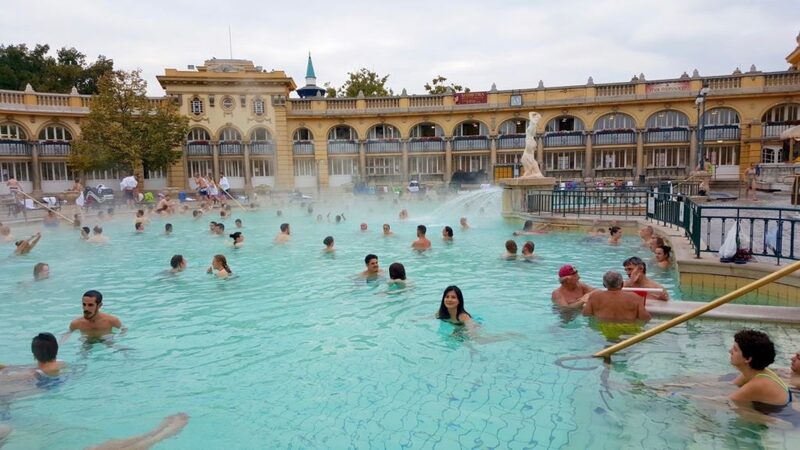 I’d love to check out the Szehchenyi Thermal Baths one day! Great list! Thanks! thanks to your post I was able to visit all of this, well less the funicular, really, thank you.